Taxis are a little expensive, but a quick and safe means of getting around the city. There are two kinds of cabs running around the city. One has “taxi” printed on the side and a “taxi” sign mounted on the roof. These are quite safe, as they are registered with some kind of company. The other kind of “taxi” is any private vehicle that wants to offer you a ride for a charge. To hail a taxi, you simply stand on a sidewalk with you arm out, and it is only a matter of seconds before a passing car will respond. This may be a regular taxi or a private vehicle. Either way, tell them where you want to go and quote a fare yourself, especially to a private cab owner. As Almaty is a fairly small city, a fare will fall somewhere between KZT 300 and KZT 600, depending on how far you want to go. It is better to converse in Russian – if your Russian is weak, have a friend hail a cab for you instead, as many drivers might not know English too well, and this may cause confusion regarding the destination or even the fare. 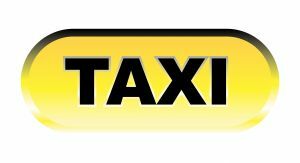 Regular taxis can be ordered on the phone, by dialling 058 or 007. They charge by the metre, and are more reliable. i- If your Russian is weak, have a local friend/business partner/your place of stay hire it for you. iii- In a private vehicle, ensure you and the driver are the only people present, and sit next to the driver. iv- Know the name of the street you want to go to instead of a specific address or a business name. Also knowing the name of the nearest cross-street will help too.